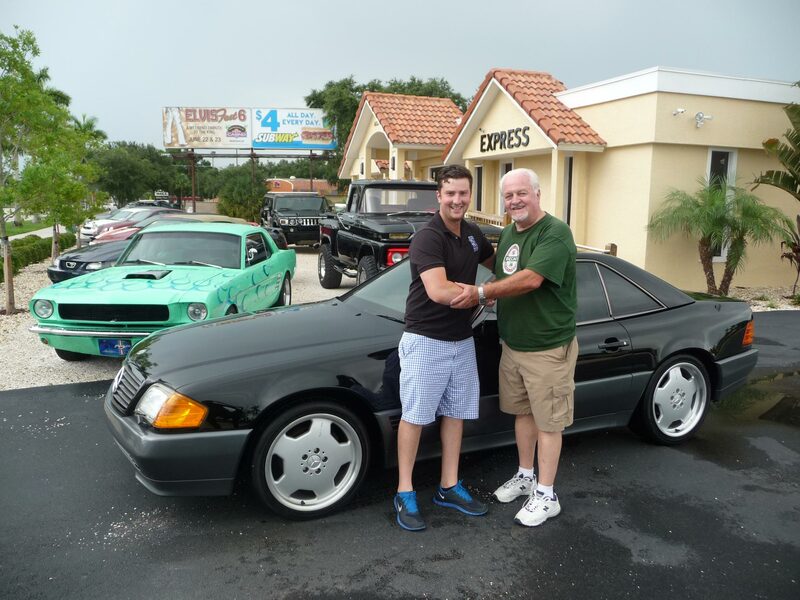 Tom and Scott Picked up my 91' SL500 Roadster on Thursday and drove back to Massachusetts without a single problem !! Car was everything you said it was and I couldn't be happier !!! My third experience dealing with Auto Express and it was as good as the first two !!! Once again would recommend your business to friends, family, and anyone else. See you in the fall !!!! Thanks Tom! Enjoyed the whole search/purchase experience. Your firm did a nice job from start to finish. The car is just what you advertised with only pleasant surprises. Found the complete mnx history,(dates, miles, dealer mnx stamps and original owner) buried in the owners manual. The ride home was long. Its hard to smile for 9 hours straight. The car purred like a kitten the entire trip. Even got 19.7 mpg (kept it 75mph). 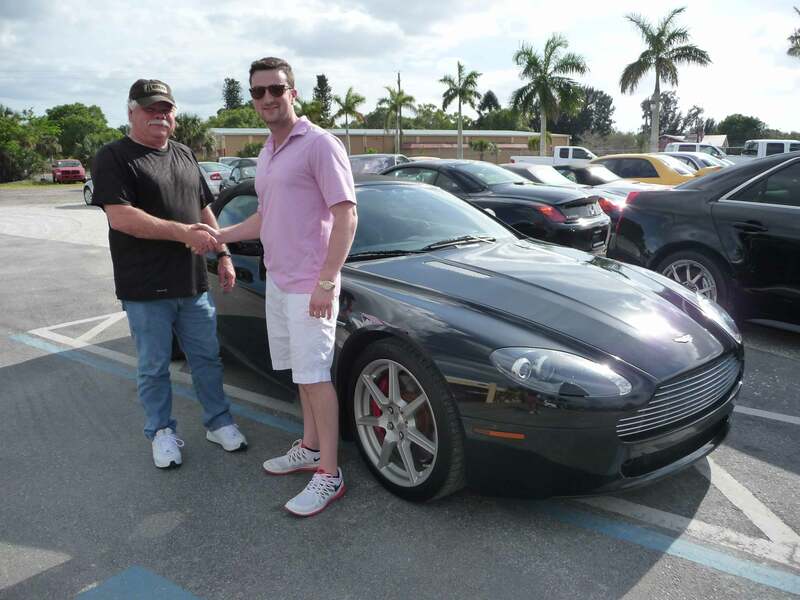 I had a great buying experience with Tom and Auto Express South. These guys are honest, personable and down to earth. I dealt mostly with Tom and the process couldn't have been more pleasurable. I was looking for an Aston Martin on the internet and Auto Express had just what I was looking for. The car was in as good or better condition than they had portrayed it. I am very please with my purchase. Keep up the good work guys. Auto Express South is located in beautiful Fort Myers, Florida. 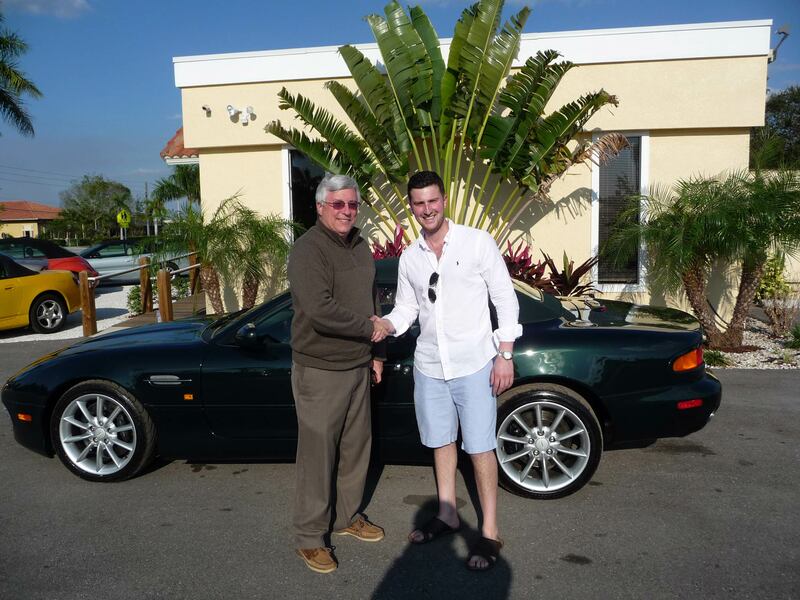 We offer a selection of quality Pre­Owned vehicles to buyers all over the world. All vehicles are hand picked by our staff with a combined 50 years of experience in the Automotive industry.